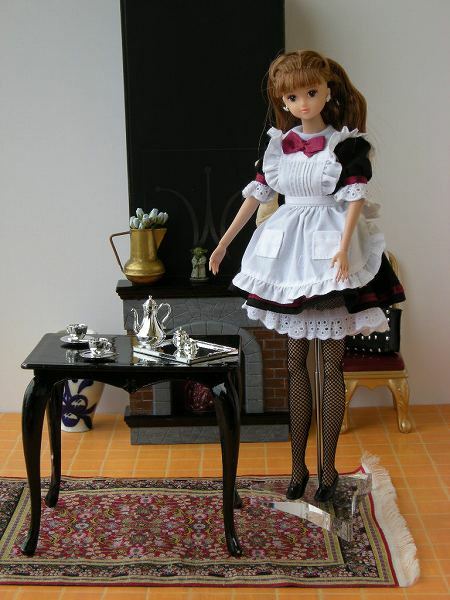 3rd Sakurako cafe shop waitress became house maid. 3em Sakurako cafe serveuse est devenue la servante de ??. My first reroot was for Sakurako. 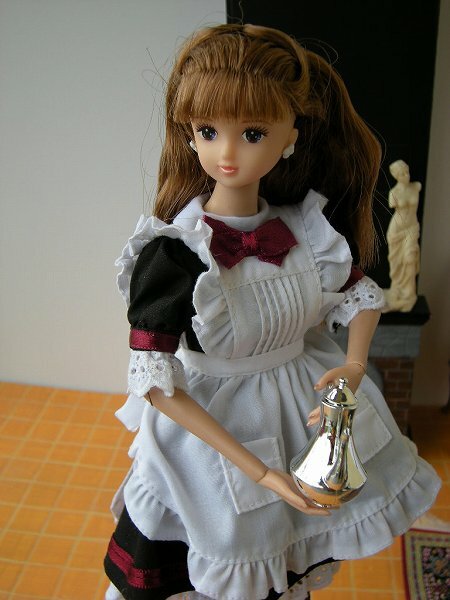 Sakurao is also one of the Jenny's friends doll. However, she was different from other friends. As she was Toys exclusive, we can only find her four variations (plus one made by Jenny's club exclusive) and it is impossible to buy her now. At that time I liked her face but I didn't like her haristyle. So, I decided to reroot her. As I couldn't find the materials here, I orderd to Japan. 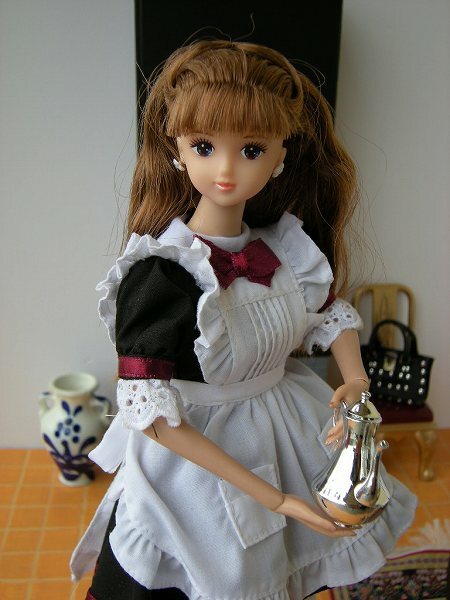 But I couldn't wait for the hair arrived, I decided to use the jenny doll's hair among which I already had. Anyway, since this is my first, this doll is special to me. Mon premier reroot sur Sakurako. Apres elle, j'en ai fait pas mal de reroot. Je voudrais vous montrer des reroot pouppees petit a petit dans ce blog.